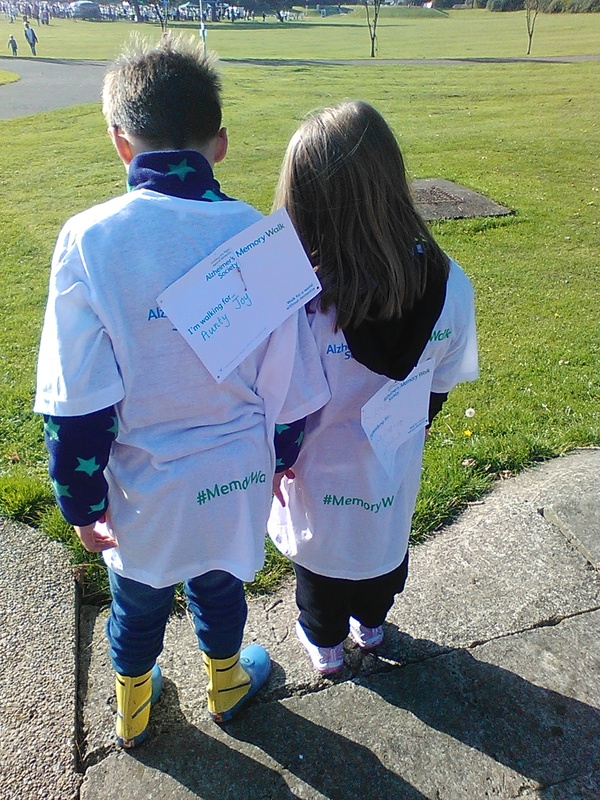 September 2015 – Hannah and Alfie’s Memory Walk – Hannah's Helping Hand – a 10 year old's project to make a difference. 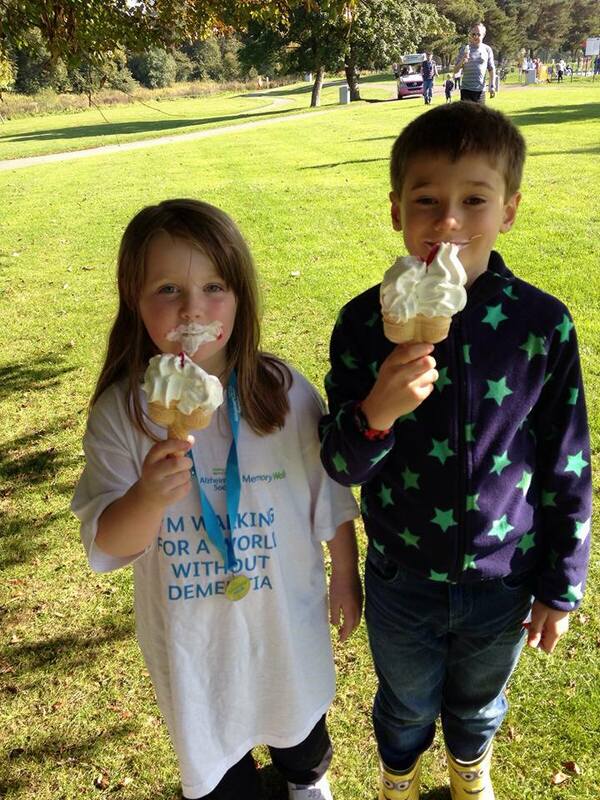 Today, Hannah and her gorgeous friend Alfie (who is 7) did the County Durham Memory Walk at Riverside Park in Chester-le-Street to raise money for the Alzheimer’s Society. 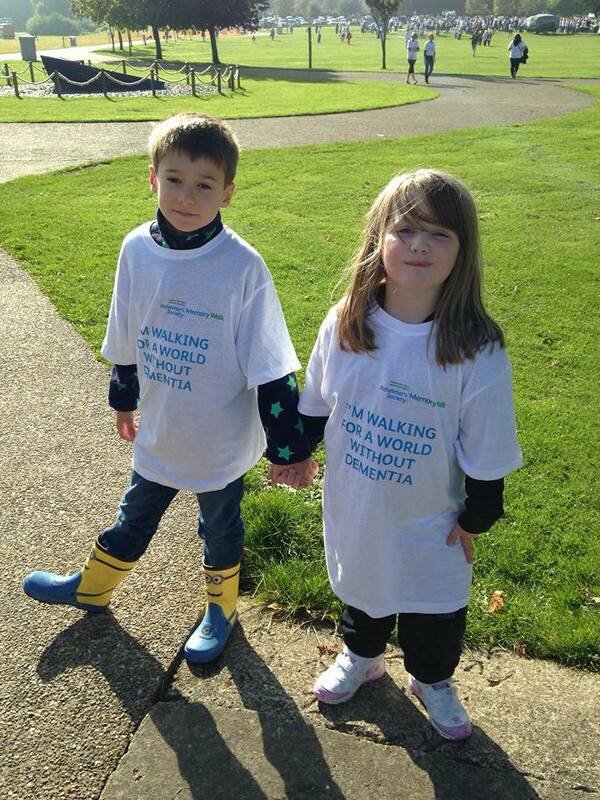 They walked for Hannah’s Great Grandma Straw and Alfie’s Aunty Joy. 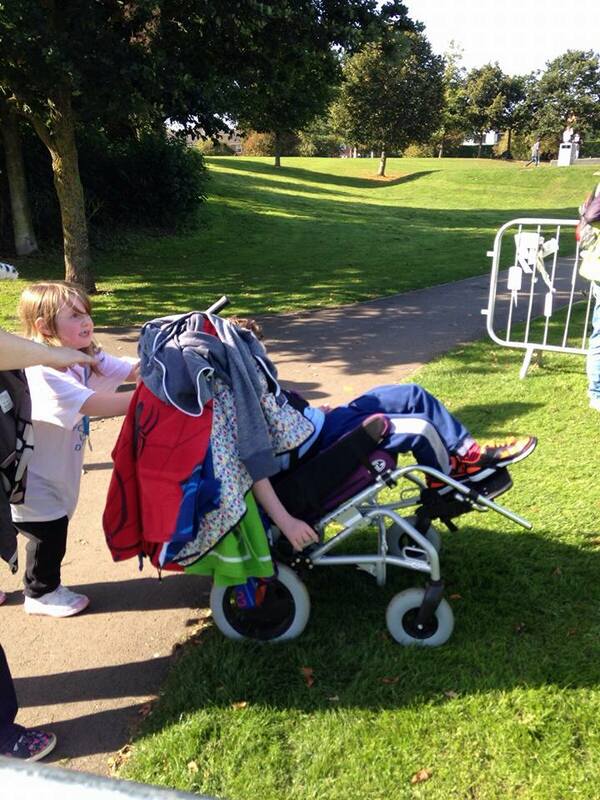 They completed the 5km walk in 61 minutes, admiring the beautiful setting in lovely sunshine as they walked with me and Alfie’s mum Bekkie. 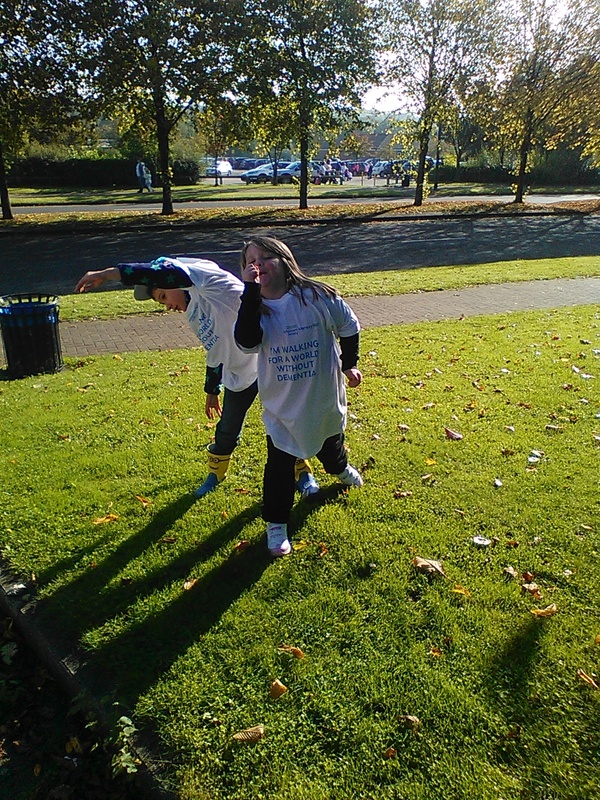 For some of the time they were hand in hand, looking very sporty in their oversized t shirts, and as they neared the end they decided to put arms around each other’s shoulders and do it “as a team”. 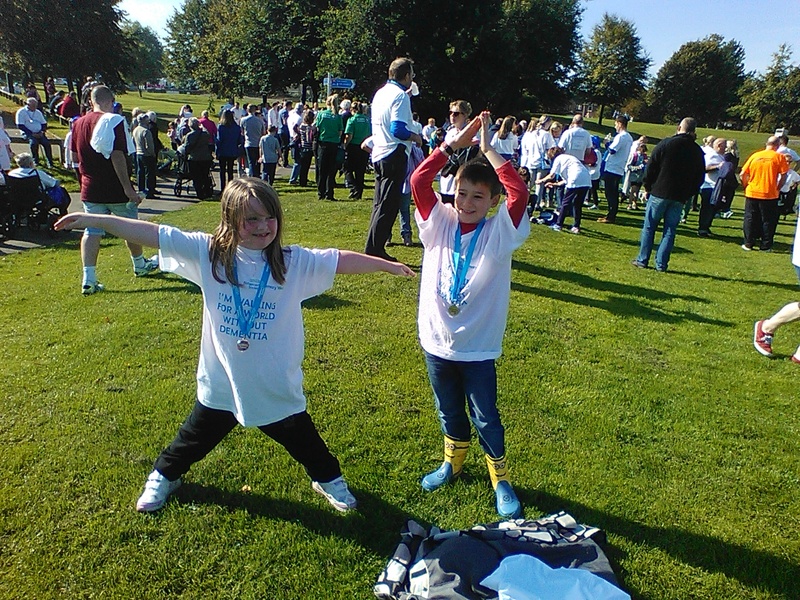 They proudly crossed the line together and were presented with their medals. For me, an overly emotional, teary-eyed mum, that was one of the highlights. 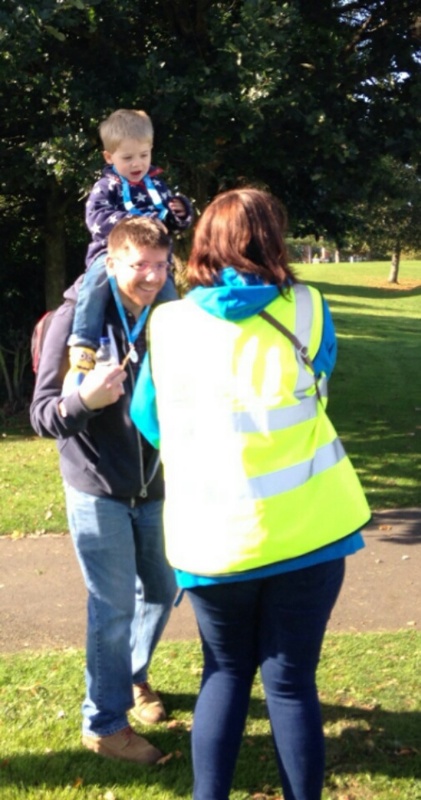 Alfie’s dad and little brother, Matt and Sam (2) did the walk too, with Hannah’s dad Paul bravely pushing her brother Adam in the wheelchair alongside them. 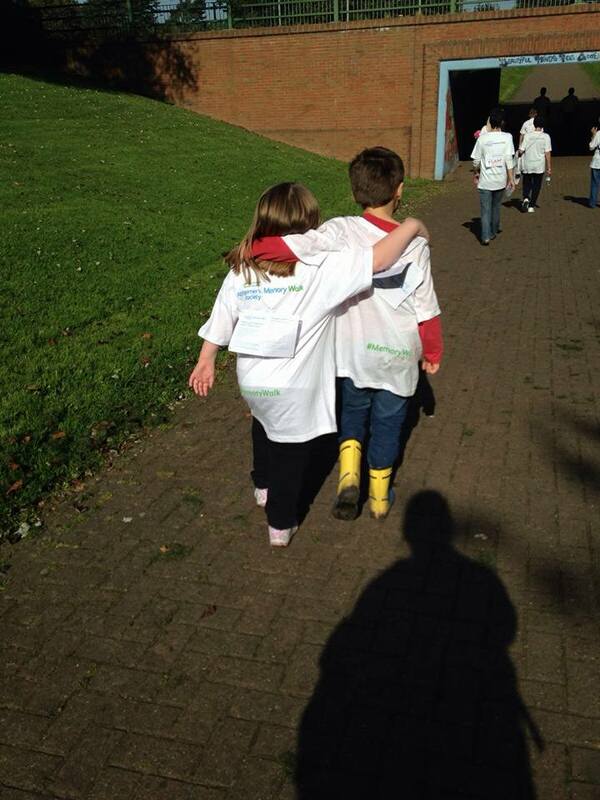 They did a fantastic job on muddy paths and in all that warm sunshine. We waited for them at the finish line and they were only 15 minutes behind us. 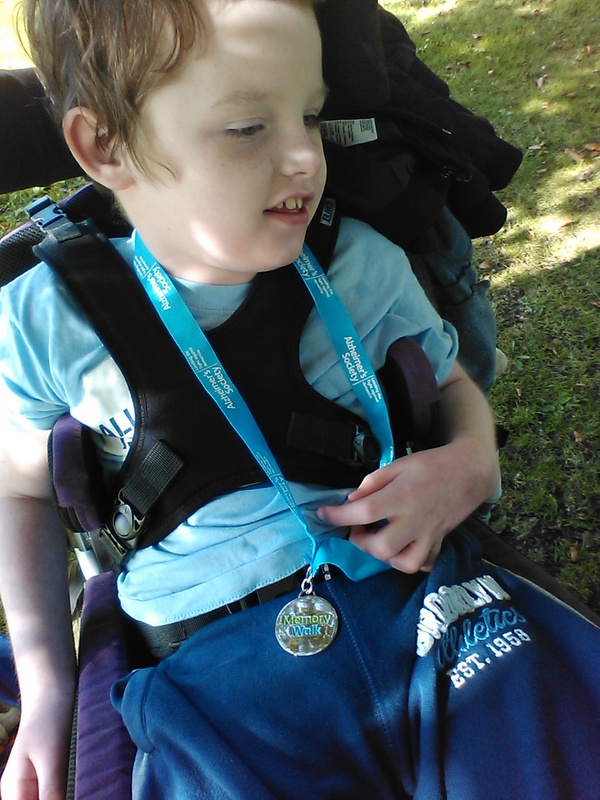 As they approached, Hannah ran over and pushed Adam in his wheelchair over the finishing line to collect his medal all by herself. You can imagine everyone’s reaction to that. We had a picnic in the shade of a tree, ate ice creams messily and ran around. 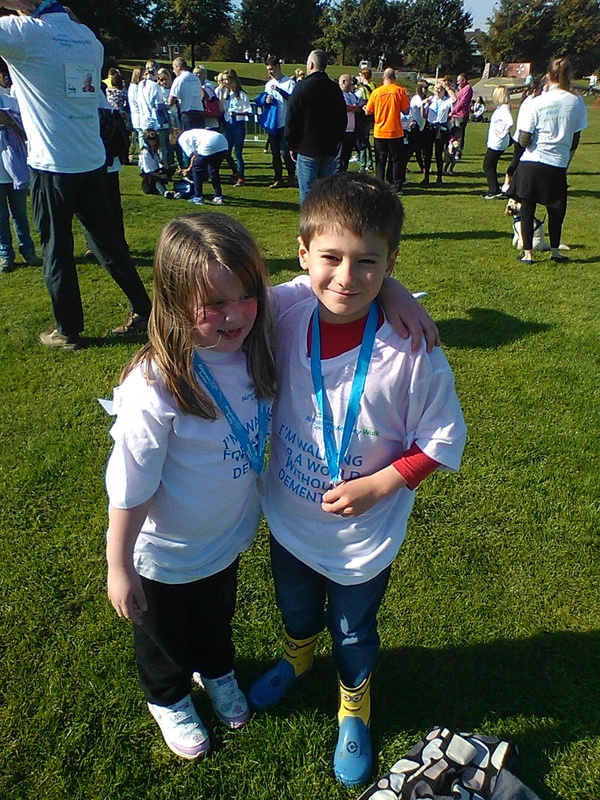 Hannah and Alfie have raised (so far) £231 for this wonderful cause. Thank you to everyone who donated so generously to their JustGiving page. These young superstars are very grateful for all your brilliant support. 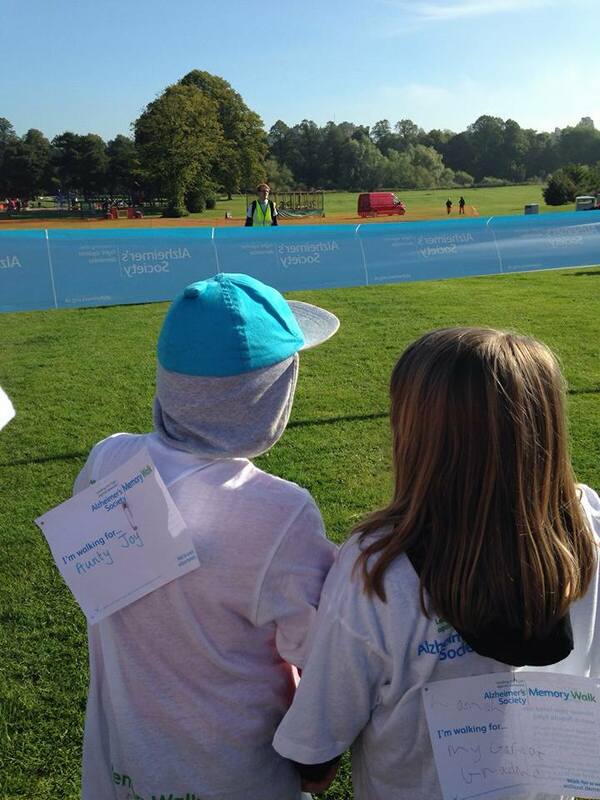 Hannah and Alfie – we, your proud Mums and Dads (Katy, Bekkie, Paul, Matt), think you are amazing. What a thing to do to help others! Adam and Sam – we haven’t forgotten about you. Thank you for being a central part of this exciting day. You four are (at the risk of sounding cheesy) an inspiration to us, and we love you thiiiiiiis much.